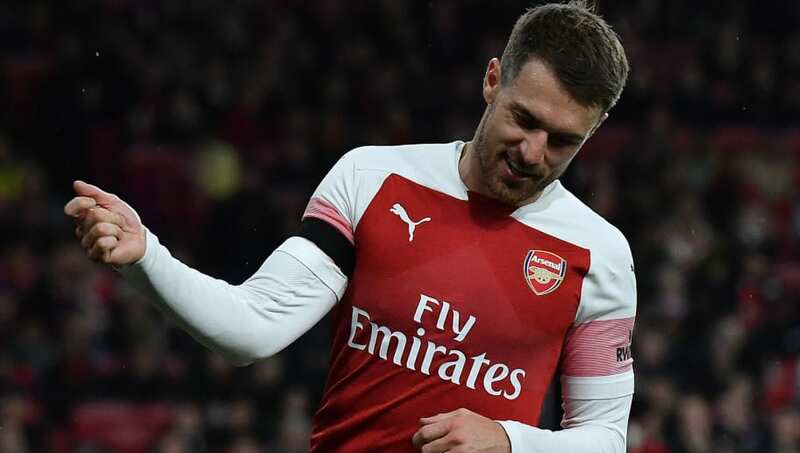 ​The Aaron Ramsey contract saga appeared to take a decisive final turn this week, with reports that the midfielder has now been told exactly why he will not be offered a new contract at Arsenal – and Martin Keown has admitted that he is ‘astonished’ by the news. It has been all but confirmed that the 27-year-old Welshman will be departing the Emirates on a free transfer next summer following the expiry of his contract, after the Gunners withdrew their offer of a new deal. BREAKING: Aaron Ramsey will leave Arsenal for free at the end of the season after the club finally told him in person why he will not be offered a new contract, Sky Sports News understands. The developments have left many surprised and questioning the Gunners’ decision, and none more so than club legend Keown. The former ​Arsenal defender told the ​Daily Mail: “From the club’s point of view, they have made a decision and are not letting themselves be dictated to by a player. “If they wanted to keep him, they surely would have left the door open and tried to find a solution financially. I expect ​Ramsey to continue 100 per cent committed to the cause. He is a fantastic professional who will give everything to the football club. "Above all, what sort of business tosses away a £50m-asset for free?" “But I do find it staggering that the contract offer has been removed. When you think about how much it will cost to replace a player like Ramsey, it is astonishing that he will be allowed to leave. The club must have already identified targets who they feel represent better value for money. Ramsey’s contract situation is the latest in a long list of Arsenal stars allowed to run down their contracts to end up in a similar position of difficulty for the club. ​Alexis Sanchez and ​Mesut Ozil were in identical situations up until January last season, whilst ​Jack Wilshere was allowed to leave for free during the summer, with the Englishman moving to ​West Ham. Sanchez, meanwhile, forced through a move to ​Manchester United.